Funding may be the greatest incentive to involve patients and caregivers in research. Research funding becomes more competitive by the year while at the same time research funds and grant monies become scarcer. Including the patient and caregiver voice can give researchers an edge as the seek funding for their studies, if not only because some institutions require that patients and caregivers be included. Including the patient and caregiver voice can decrease research waste and demonstrate that a project will be a sound investment. By involving patients and caregivers, the end users of research, the threat of waste may be moderated. Patients and caregivers can help researchers set better priorities and shape research that is more relevant and of a higher quality, among other benefits. 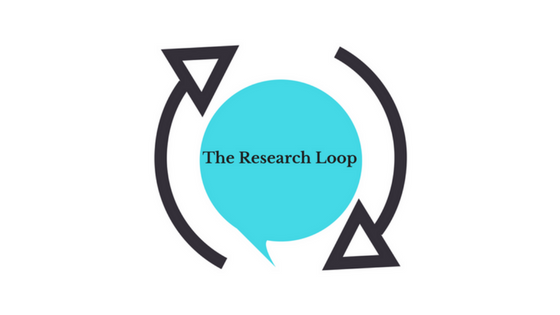 As presented in the preceding sections, The Research Loop facilitates adding the patient and caregiver voice in research, therein helping researchers reduce the risk of waste. Securing funding by showing that research waste might be avoided is one financial incentive to include patients and caregivers among many. Another incentive can be that involving the patient and caregiver voice is a requirement for funding. In fact, many funders now require that the patient and caregiver voice be included in research. This is, in part, a direct result of policy changes at national levels. Policy makers who established institutions like INVOLVE, PCORI and others realized the value of the patient and caregiver voice and thus pushed for initiatives to ensure their voices were included. Following suit, other funders realized the benefits that came from including patients and caregivers and started to require their involvement as well. In addition to decreasing waste and increasing cost efficiency, alignment with patient and caregivers priorities is of great importance to secure funding. As Corner and colleagues note “…the legitimacy and sustainability of investment decisions made by research funding bodies will increasingly depend on how well they reflect the underlying values of the public.”22 Researchers can show their work reflects patient and caregiver values by including them at several stages in the research process. According to INVOLVE, a researcher who includes patients and caregivers in the design stage can “demonstrate to funders and commissioners that the topic is important and relevant to the end users of research.” 12 Consequently, as The Consumer and Community Health Research Network in Australia points out, “Harnessing consumer experience and needs…[might] increase the likelihood of success in attracting research funding” because “the research results are more likely to respond to a prevailing problem and to be utilized in the real world.”18 In other words, including patients and caregivers in research at the design stage can prove that the research is a good investment. The Research Loop allows patients and caregivers to provide feedback on every stage of research. As will be presented in the sections below, this feedback can have a significant impact on research and, if properly utilized by researchers, it can be leveraged to show how their work is relevant and worthy of funding. Together, these result in biased research agendas that are not likely to focus on important priorities. To assess their research agenda, researchers should consider inviting patients and caregivers to apply a critical lens to reveal any deep-seated agenda bias the researcher, research institutions, or their funders may not realize exists. In so doing, patients and caregivers can help researchers develop a better research agenda which will impact funding. As more researchers take this route, they may help change how funding is allocated. The Research Loop will help researchers add the patient and caregiver voice to their work which may help them secure funding for future projects, reduce waste, and repair biased funding schemes. This simple tool will provide researchers with feedback that, as discussed above, can increase participation of patients and caregivers, help set better priorities, make research more relevant, improve quality (including design, data, and analysis and interpretation), augment dissemination and implementation, enhance credibility, support educational efforts to help the public better understand research, and much more. In total, the impact of The Research Loop can help transform the research process.